The goals haven’t been spectacular, but Cecilio Domínguez has gone a long way to winning over the Club América fans with 2 goals in 2 games. These goals have come in consecutive victories for América, which were much needed after Las Águilas lost their 2 opening games of the Clausura. 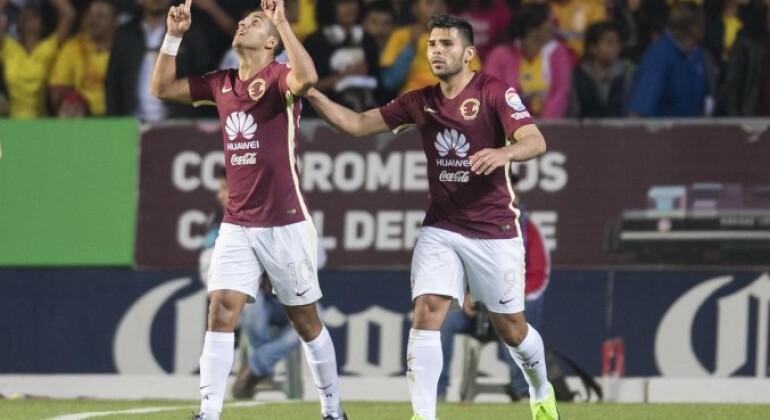 América’s latest win came at relegation strugglers Morelia. In a fairly tight game, Domínguez’s 69th minute rebound tap-in was the key moment, coming after a good flowing move involving Oribe Peralta and Carlos “Darwin” Quintero. The points were wrapped up with 7 minutes to spare, as youngster Edson Álvarez finished after great work by Quintero. Club América still look some way off being strong contenders for the Liga MX title, but are improving, and should be in liguilla come the end of the season. Both Puebla and Querétaro were very quick on the trigger this Clausura, sacking their head coaches after just 4 Liga MX games. Ricardo Valino and Víctor Manuel Vucetich deserve some sympathy, as neither were able to strengthen much during the 2 previous transfer windows, however, Puebla and Querétaro were moving in a very negative trajectory. In that regard, jornada 5 represented some form of improvement for Querétaro. Las Gallos Blancos finally scored their first goal of the Clausura, as Luis Noriega made up for his calamitous own goal by earning his side a barely deserved point at Estadio Azul. Whilst Querétaro were thankful to Tiago Volpi for keeping them in the game, Puebla were rarely threatened on Friday night. In a dire game, Atlas managed just 2, yes 2, shots on goal. Crucially though, one of those shots was Martín Barragán’s 92nd minute equaliser, coming just 5 minutes after Francisco Acuna thought he’d won it. Draws were decent starts for new bosses José Cardozo and Jaime Lozano. 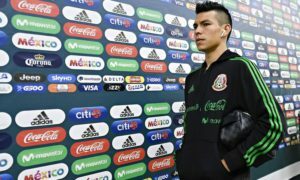 38-year-old Lozano is beginning his first ever job as head coach of a senior side, and keeping on an eye on the ex-Mexico international should prove interesting. It’s difficult to judge how well Monterrey’s season is going. On one hand, they are one of only 2 Liga MX sides to remain unbeaten after 5 games. On the other hand, Los Rayados have just a single victory. A 1-1 draw at Necaxa on Saturday means Monterrey have now drawn 4 matches on the spin. Rogelio Funes Mori gave the visitors then lead in the 39th minute, and could have doubled his side’s advantage not long after. But, as is often the case, missed Monterrey chances allowed their opponents back into the tie. Necaxa, who surprisingly had more possession at Estadio Victoria, earned a point through Claudio Riano, not long after half-time. With some questions being asked of Antonio “Turco” Mohamed, Monterrey will have to start to turn some of these draws into wins if the Argentine is to keep his job in the long-term. Is fatigue causing problems for Tigres and León? You have to feel a bit for Tigres. Whilst more than 50% of Liga MX clubs had a month and a half off over the winter, champions Tigres had less than 2 weeks. With the liguilla system greatly lengthening seasons for those that go far, particularly with the Club World Cup delaying the final, this is the price of success in Mexico. 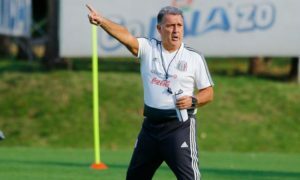 Ricardo “Tuca” Ferretti gave his first-string side an extra week off by fielding reserve players during jornada 1, but Tigres’ stars have quickly been thrusted back into action. With just 4 points from 5 games, and no goals scored in four of those matches, it’s been a very poor start to Tigres’ Clausura. Fatigue could be a major factor in causing this disappointing start. Perhaps the addition of Eduardo Vargas, who made his debut from the bench on Saturday, will provide a solution for Tigres. Vargas is yet to start a league game this season, so shouldn’t be suffering any form of fatigue. Tigres fans will no doubt hope that the Chilean can add some energy to their failing front line. León didn’t go as far in liguilla as Tigres, but do play a demanding style of football under Javier Torrente. Torrente’s underlying tactic is to press teams high, for Mexico’s standard, and quickly get the ball forward, looking to catch out opponents before they can recover their shape. The style results in León having little possession during most of their games. 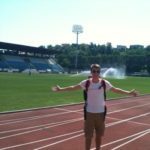 Torrente’s style of play is physically demanding, and with the heat and altitude in Mexico, I’ve previously wondered whether this tactic can be successful over a long period. This may just be a blip for Torrente’s León, after a fantastic start, but it may be the answer to my wondering. Fatigue, due to a demanding style of play, could be the root cause of León’s poor form. After a 16th place finish in the Apertura, 2 wins 3 draws and 0 losses is a very good start to Santos Laguna’s Clausura. Despite conceding a late equaliser to Chivas on Sunday, the point in Guadalajara was still an impressive one, particularly when considering how Chivas dominated the match. The main factor behind recent results has been Santos’ strength in the air. Los Guerreros have scored 4 goals, and earnt 5 points, in their previous 3 games. All 4 goals have been headers. This focus on goals from headers seems part of “Chepo” De La Torre’s decision to go back to basics with Santos. Gone are the flashy signings from Europe; Fredy Hinestroza, Bryan Rabello, Mauricio Cuero and Ulises Dávila, and in came experienced Liga MX heads; Jonathan Orozco, Osvaldo Martínez and Julio Furch. Chepo has also created a good balance between experience and youth. Full-backs Gerardo Arteaga and Jorge Sánchez, both teenagers, have started every game this Clausura, as has 21-year-old holding midfielder Ulises Rivas. The question now is, can Santos continue to find goals from the air, or can they diversify their goal scoring methods? If they can, Santos will be a dark horse for liguilla.